When you think of keywords, you may think of using them in the title of your blog post or somewhere within the blog post. Only using keywords in those two places is pretty boring. Did you know that there are actually a variety of places to use keywords? Yes, as previously mentioned, this is the number one spot to use keywords. Sometimes, it’s not possible, as a keyword phrase may not be grammatically correct or sound right as a title. That’s okay. There are still plenty of places to use keywords, and the search engines will still be able to find your blog post. As mentioned above, there are some situations where a keyword phrase just doesn’t sound good as a blog post title. In this case, try incorporating the phrase into a phrase within the content. You can also use keywords as tags and categories within your blog. This is actually a bit easier with tags, as creating a new category for every keyword you want to use can create a bit of a mess. As more and more people are using videos as content on their blog, don’t forget to include your keywords in the titles and tags of the videos. You can make a short video, or vlog –as some people call it, and use the keyword as the title and tags for the video. You can submit the vlog to YouTube and post on your blog as well, or you can simply leave it on YouTube for people to find there. Don’t let this list of ideas overwhelm you. 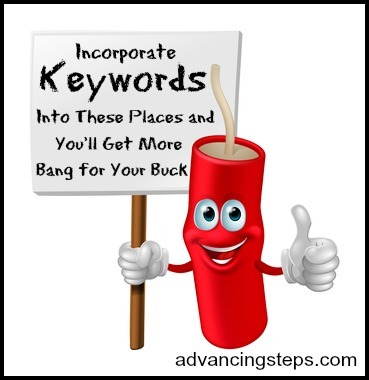 Using keywords in all of these places is beneficial – and time saving for your business. 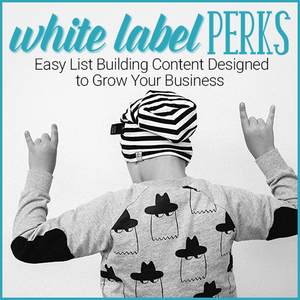 You don’t have to research all new keywords for every place you want to use a keyword. You can use the same set of keywords as the title of your post, within your blog post, as a tag, and as the file name for the photo in your post.